7.62 Extended Magazine in Division 2 is a weapon mod that you can get by going through certain endgame high-level activities. The whole affair is pretty grindy. Getting the Division 2 7.62 extended magazine for the assault rifle requires you to raise the World Tier, raise Alert Levels at Control Points, and more. Still, considering that it adds 30 rounds to the mag at a 5% cost to damage, you could say it’s worth the trouble. All that said, here’s our Division 2 7.62 Extended Magazine Location – How to Get guide will show you exactly how to obtain the extended assault rifle magazine. How to Get 7.62 Extended Magazine in Division 2? To get the 7.62 extended magazine in Division 2, the first thing you have to do is grind the game until you reach World Tier 4. Next up, raise an hostile Control Point up to Alert Level 3. 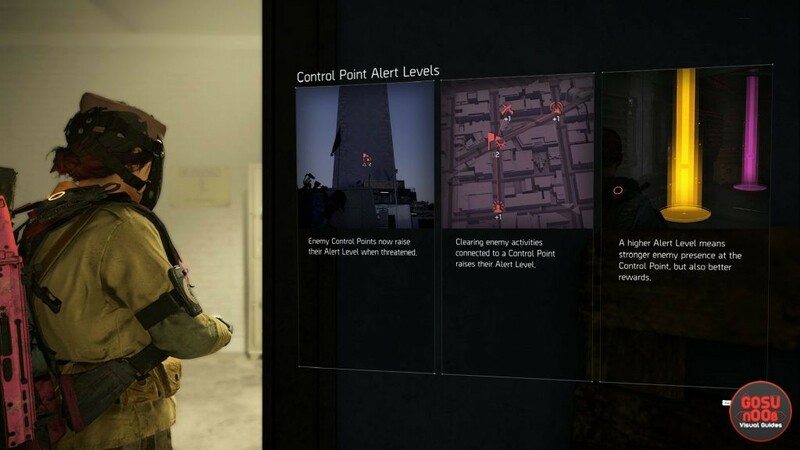 You do this by completing activities connected to the Control Points with red lines, such as disrupting propaganda, disrupting public executions to save hostages, territory control, and the like. It can be any Control Point that you raise the Alert Level of, it just has to be hostile. Just keep in mind that you need World Tier 4 before you can do this. Once you raise the Alert Level of a Control Point to 3, you then have to complete that Control Point; aka, you have to conquer it for yourself. This will reward you with a random blueprint for a weapon mod. In case you don’t manage to get the Division 2 7.62 extended magazine in your first run, then you’ll have to do the whole thing all over again with another enemy Control Point. Hey, nobody said this was going to be easy. In case you’ve somehow managed to have all the Control Points friendly (and if you did, I salute you), worry not. You can just wait for the enemies to take them back, and start the grind. Now, there are three points we have to address here. Number one: since the rewards that drop from Alert Level 3 Control Points are random, there’s no guarantee of how fast you’ll get the 7.62 extended magazine. Be sure to prepare your usual sacrifices to the RNG gods. Second: Control Points at Alert Level 3 are damn difficult. Be prepared to call for aid if things get too hairy, as they absolutely will. Lastly: yes, you can raise the Alert Level to 4, but there really is no need to. Those are incredibly difficult. If you’re just hunting for the extended magazine, there’s no reason to put yourself through that.